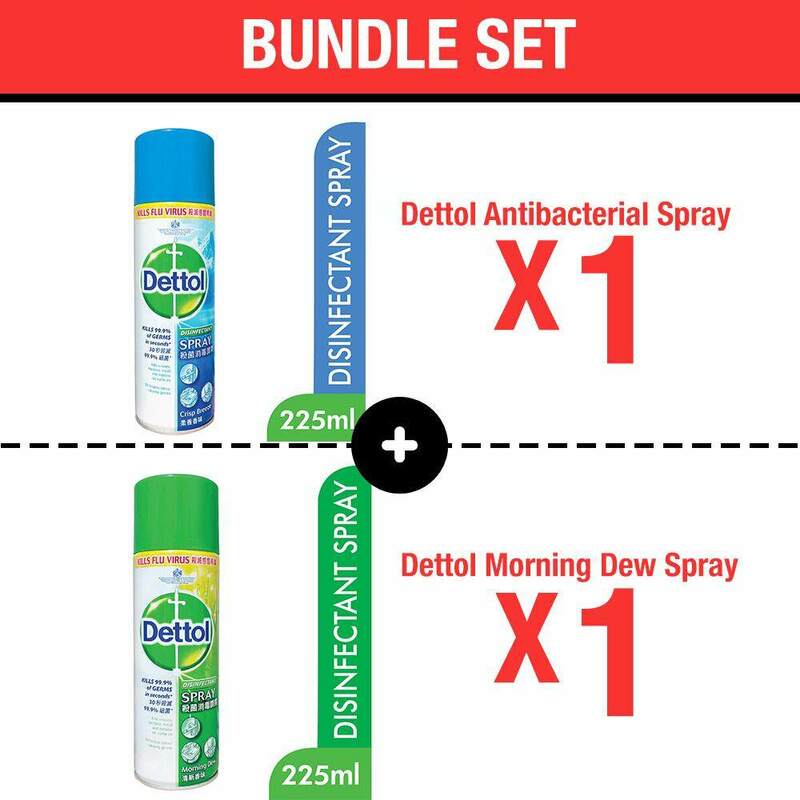 Shop Dettol Antibacterial Spray,Dettol Morning Dew Spray, Office Supplies, Stationery, Printer at atoz2u. Leading supplier of office products in Malaysia. -Dettol Disinfectant Spray can help protect your family from germs by helping prevent the spread of harmful bacteria and viruses. -including E. coli, salmonella and the flu virus, on surfaces that you come into contact with every day, such as door handles, kitchen bins and toilet areas. -Dettol Disinfectant Spray is proven to kill 99.9% of germs, viruses and bacteria. -Dettol Disinfectant Spray can help protect your family from germs by helping prevent the spread of harmful bacteria and viruses. Dettol�s unique formula is proven to kill 99.9% of bacteria and viruses, including E. coli, salmonella and the flu virus, on surfaces that you come into contact with every day, such as door handles, kitchen bins and toilet areas.